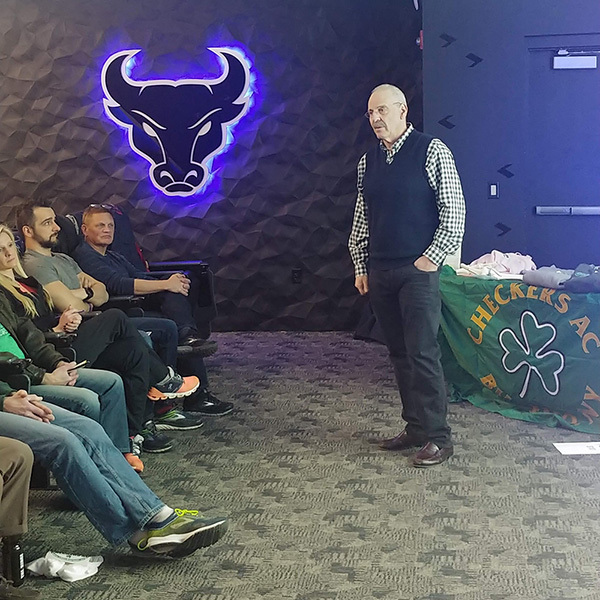 Dr. Tim recently guest lectured at Checkers Athletic Club on the use of Prolotherapy-Regenerative medicine for runners to rebuild joints, ligaments and tendons. As one of the area’s best running clubs, Checkers Athletic Club is a great place to introduce prolotherapy to both novice and veteran runners who may suffer from a variety of running related ailments but who want to continue running for years to come. Maintenance and regular appointments with Dr. Tim can help create longevity within a running practice. Checkers Athletic Club hosts social events, sponsors races, team competitions, fun-runs and promotes a positive, healthy physical and mental well-being through the sport of running. They were a wonderful group to partner with for this guest talk. Thank you for having us! This entry was posted in Speaking Engagements and tagged athletic club, dr. tim speciale, lecture, prolotherapy, regenerative medicine, runners, running, speaking. Bookmark the permalink.